2016 was an amazing year in Valley Forge and Montgomery County, and the Pursuit has been there to capture it. As we look forward to 2017, we&apos;re celebrating the year that was with a recap of our five most popular blog posts of 2016. 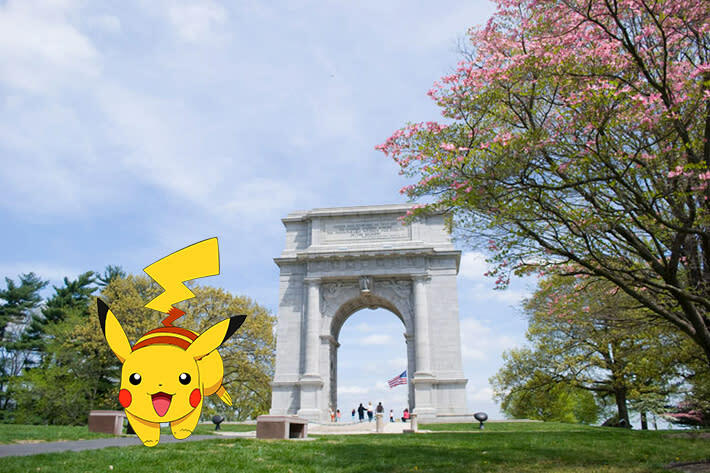 There was nothing hotter this summer than Pokémon Go, and at Valley Forge National Historical Park, they embraced the craze. Gyms and Pokéstops lined the park, and our intrepid Pokemon trainer found them all on her visit. Ten people are locked in a room with just 60 minutes to escape. That&apos;s the thrill behind Escape Room Mystery, one of King of Prussia&apos;s newest attractions. Our team was willing to take on the challenge, but would they make it out in time? After conquering Valley Forge, our Pokemon trainer headed east to Norristown, where she tracked down oddish at Elmwood Park Zoo before exploring a charmander nest (later a bulbasaur nest) at Norristown Farm Park. The expansion of the King of Prussia Mall was a project more than two years in the making. Adding more than 150,000 square feet and 50 retailers - including high-end brands like Jimmy Choo and Diane von Furstenberg - the new addition was highly anticipated. We got a sneak peek during the final stages of construction, before it officially opened in August. There&apos;s not much to see in Valley Forge National Historical Park after the sun goes down. Unless you&apos;re part of the Delaware Valley Amateur Astronomers. From March to November, the group hosts a series of Star Parties, taking advantage of the dark skies over the park to gaze upon the night sky.